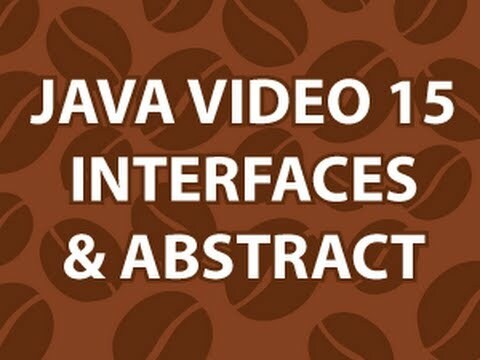 In this part of the Java Video Tutorial I cover interfaces, abstract classes, abstract methods and more. You use an abstract method when you need some flexibility. But why do we need these if we can just create these methods inside the car class? final +abstract = interface ? An interface is a way of grouping classes. The reason for this is that any class that implements that interface must "do" all the methods that are written in that interface. So if there is an interface called "animal" which has methods: eat, sleep, walk, run, jump, then we have a bunch of classes for different types of animals, we would "group" all the different animal classes together by making them all implement the interface which means they must all "do" the methods in the interface, because those methods are common to them all. If that sounds exactly like inheritance with an abstract parent class that's because it is. 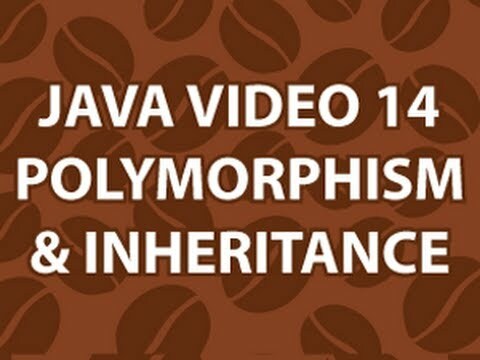 The reason that interfaces are sometimes used instead of regular abstract class inheritance is because in Java a class can only have one parent class but can have man interfaces. If a class could have multiple parent classes then there would be little point in interfaces. 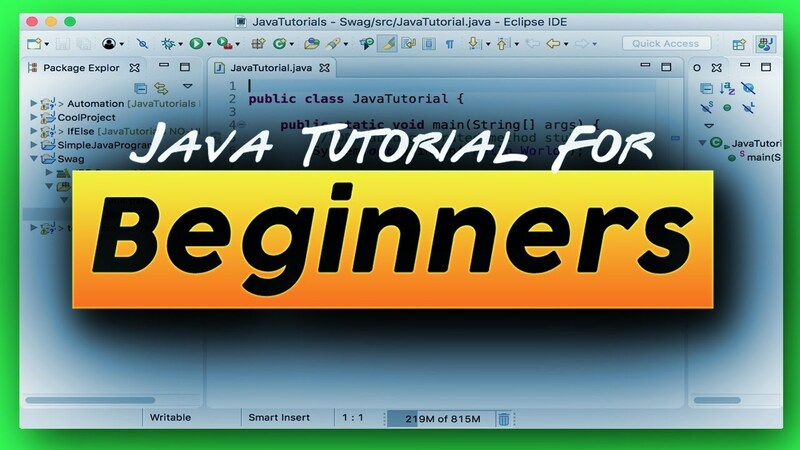 The interface also "guarantees" how to communicate with the class, so that there is set standard that all the classes must follow to make everything straightforward and streamlined. Good video if you're going for a recap. Thanks Derek! 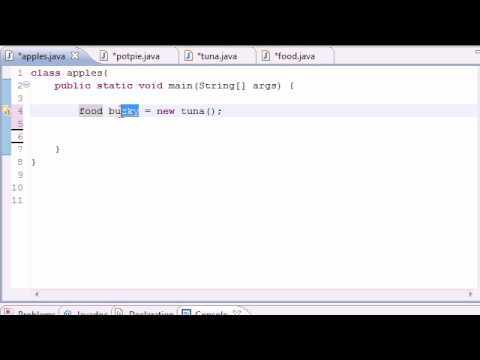 What are the purposes of abstract classes and interfaces? I know they'd be talked about later, but if you can just copy and paste the code from the abstract class/interface, then why do it? Thanks. I had to write my own code to understand it. I made a Vehicle class and set it to abstract. Then , made two sub-classes : Car and Truck. The interface was useRadio. The car implemented the radio interface, but the truck did not. One interesting thing I found: when you make the instance as: Vehicle car = new Car(), you will not get the radio functions , because the useRadio interface was not implemented in the Vehicle class. However, you may cast the car like so: ((Car)car).setRadioFunction(), and you will then gain access to your interface methods. 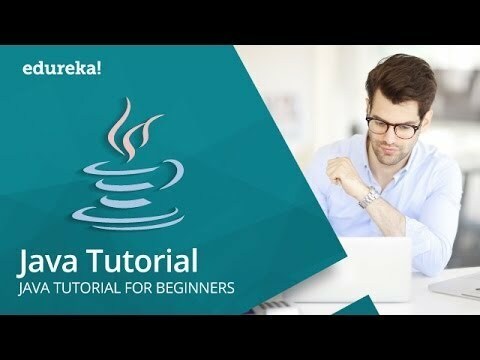 Around 1:40 aren’t we advised to not put constants into interfaces unless those constants are placed in a final class? I know you mentioned you are only focusing on syntax; it’d be cool if you could make a video on best practices for interfaces too! Thanks Derek, realy simple but at the same time complete explanation on interfaces. However, I got a question on interfaces if you please. I've seen on patterns examples the use of interfaces as variables. 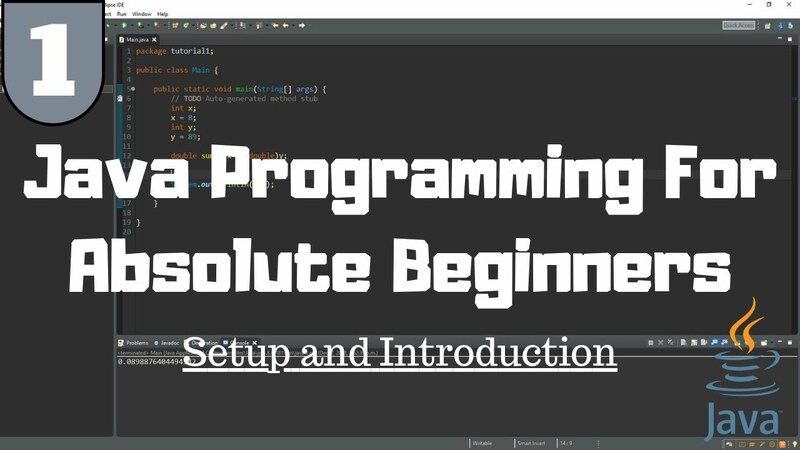 Why you need to use an interface as a variable type on a program? If interfaces don't have methods implementation, Why used as a variable? Thanks again. Pedro. I can't tell you how helpful your channel has been to me to supplement my online college class where I have just felt lost reading the textbook. Thank you so much! Straightforward and approachable – couldn't ask for more! So, basically interfaces are just guidelines ? Does it mean that if I want to make something drivable, it just tells me that I need to implement all the methods from the interface in order to do so ? I wish I could like your videos twice. I am dying when I read the books, not every book but most of them. After your videos I can skim the book for any other useful information and not reading it as a whole … Many thanks!! Can someone help me understand this? I dont get the point of using an interface. Can't we just add more methods to the object class? Hi Derek. You omitted the access modifier and "abstract" keyword when you declared members of the interface why is that?